I feel completely normal owning every blue ink variation on the planet, but have little to no interest in black inks. Why is that? The obvious answer is that there is very little variation in black inks besides dry time and lubrication. I'd say that's true, but if I'm being completely honest I'd say they are just boring. Give me one good black ink and I'm set for life. As my fountain pen friends know all too well, finding that one good ink is the challenge. 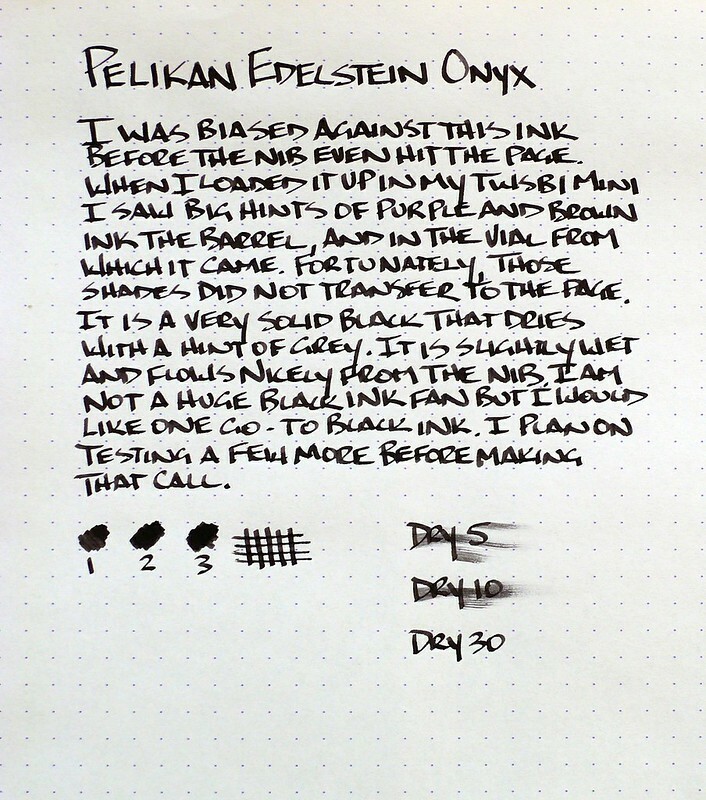 Is Pelikan Edelstein Onyx "The One"? I nearly eliminated this ink right out of the gate because of the hints of brown and purple I saw when inking up my TWSBI Mini 1.5 mm stub for the first time. The one thing I want out of my black ink more than anything is darkness - it needs to be pitch black. It came out on the page nice and dark but dried with more grey than I like to see. That bears the question: What is the deepest, darkest black ink currently on the market? Noodler's Borealis Black gets my vote, along with the amazingly similar Aurora Black (bottle purchased, review pending). Not only are those two inks darker than Onyx, they cost about half as much. The only plus on the Onyx side of the ledger is dry time - it's probably half that of Borealis and Aurora. If there is another black that you think is darker than Borealis I would love to hear it in the comments. 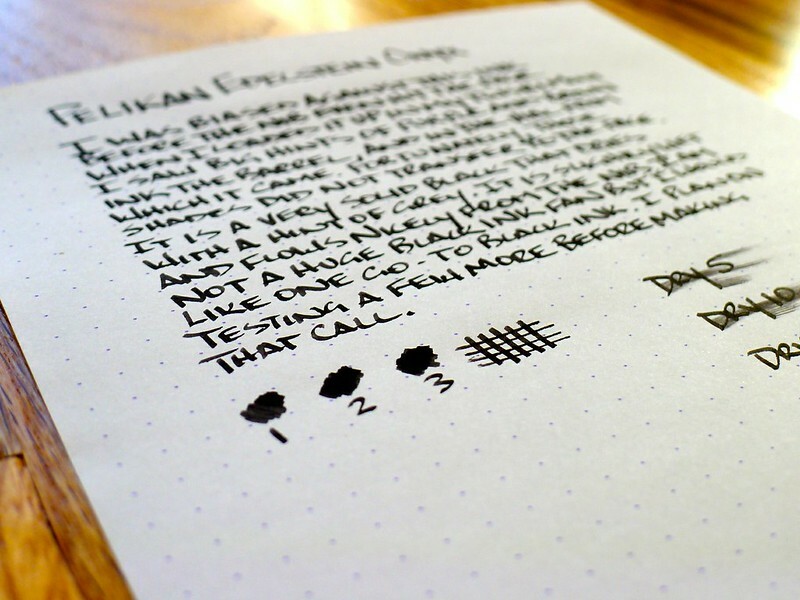 Posted on August 12, 2013 by Brad Dowdy and filed under Ink Reviews, Pelikan, Edelstein.